Boruto: Naruto Next Generations' manga has been teasing more of an exploration into Kawaki's character now that he's established a relationship with Boruto and Naruto in order to figure out the root of the Karma marks' power with the latest chapter saw Kawaki put into a tense situation as Delta from Kara has confronted Naruto in an attempt to take Kawaki back. 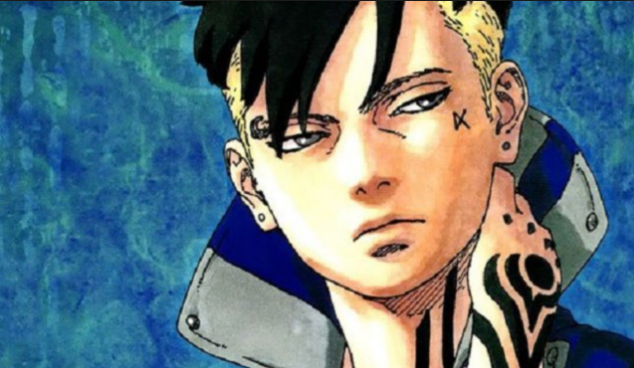 It seems things are only going to get worse for Kawaki as the next chapter teases his fate. The Chapter 31 of the series teases a "heated/climactic battle" against Delta as it questions what Kawaki's fate will be as a result. While this unfortunately does not give much information as to what fans can expect from the coming chapter, that it does tease some interesting things fans have wanted to see. The end of Chapter 30 saw Delta fly through the Leaf Village to confront Naruto, who was currently overseeing a sparring match between Boruto and Kawaki. Fans have been aching to see more of Naruto in action in the sequel series after his fight with Momoshiki, and they may get their chance again against this member of Kara. There are also different factors to consider as well.